Hugo joined Bunnyfoot in early 2018 as a Consultant, bringing a huge amount of knowledge of both the financial services and charity sectors to the team. 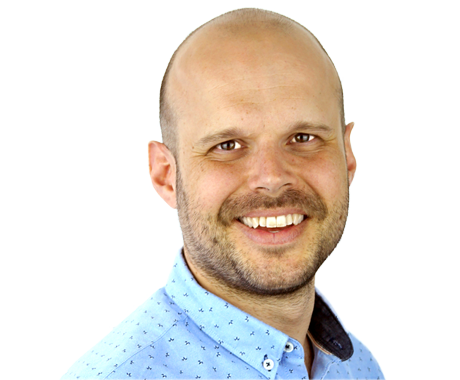 Since coming on board, he's gained extensive experience in conducting usability testing, diary studies, workshops and other UX research methodologies. Hugo studied Psychology at the Institute of Psychosynthesis, prior to this was working as a researcher at the Institute of Philanthropy. After running the research function of a listed Executive Search business for a few years, Hugo wanted to move into a more creative role – which led him to Bunnyfoot. Just some of Hugo’s recent project have been for EDF, Tesco Sky, Pentland Brands and the Law Tennis Association. In his spare time, Hugo likes playing squash, tennis and taking on hiking trails like the Annapurna Circuit in Nepal. He’s also a bit of a sci-fi geek and will share his movie knowledge with anyone who asks.